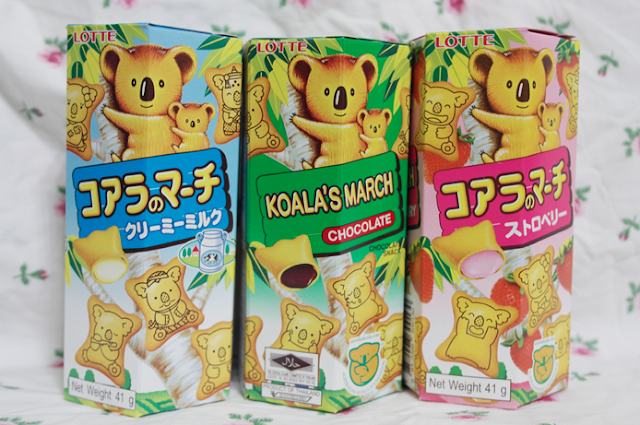 It's the Lotte Koala March! 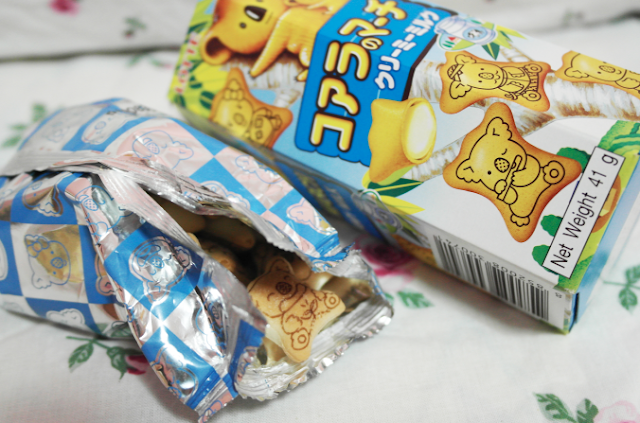 SO CUTE I'M GOING TO EAT UP THE PACKAGING TOO. Mine is the strawberry one! I mega love these biscuits cox their fillings is super rich and creamy! And each biscuits is filled with a good amount of fillings, not like those 'kiam siap' snacks that only have very little fillings in them. Like 90% is biscuits and 10% is filling lol. 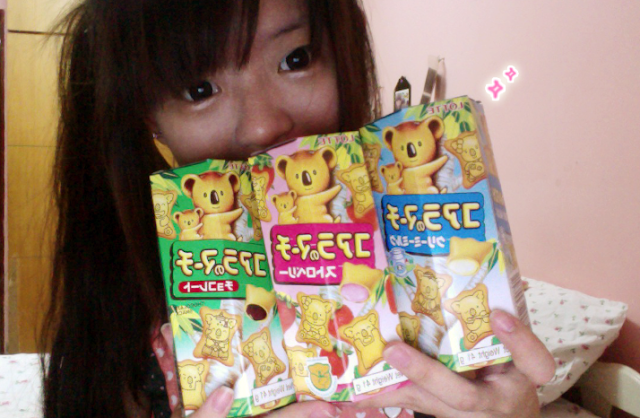 Let's proceed on to unboxing the Creamy milk Koala march! Silver packaging with Koala prints! Koalas finally see the world! I always snack during classes and obviously you do not want to make a mess in the classroom just in case you get caught by your teacher, so I STRONGLY RECOMMEND you to bring this to class if you get hungry easily like me. Just pop it into your mouth and chew! Look at my Koala gang! 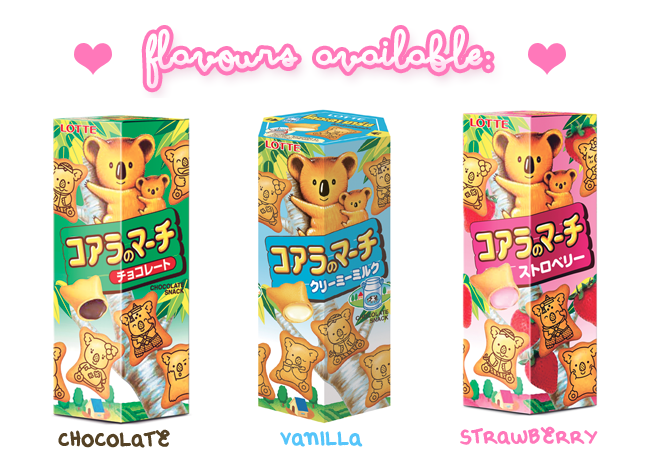 There are sooooooo many different koala designs just in a packet and you all want to guess how many designs do they have? 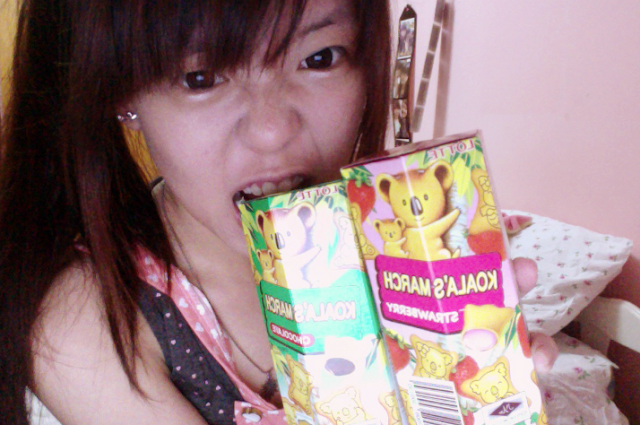 So I will have 365 different kinds of koalas to look for while I munch on them :O ! *die of cuteness* I was super shock when I realize they have so many designs because I thought they would just repeat the koala designs, so thumb up for the effort! 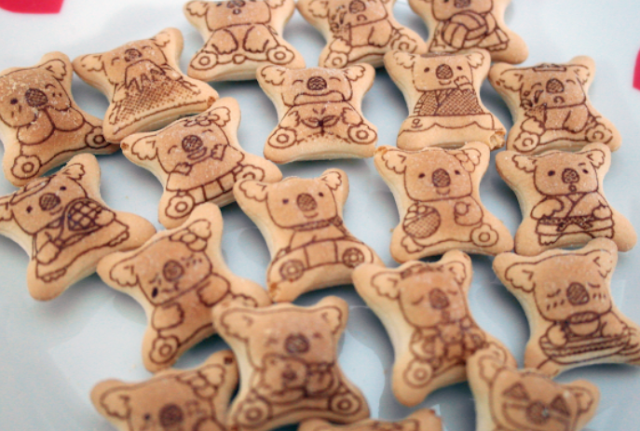 Recently I just found out a super amazing thing about this koala biscuit and I literally went "WTF THIS IS IMPOSSIBLE. " 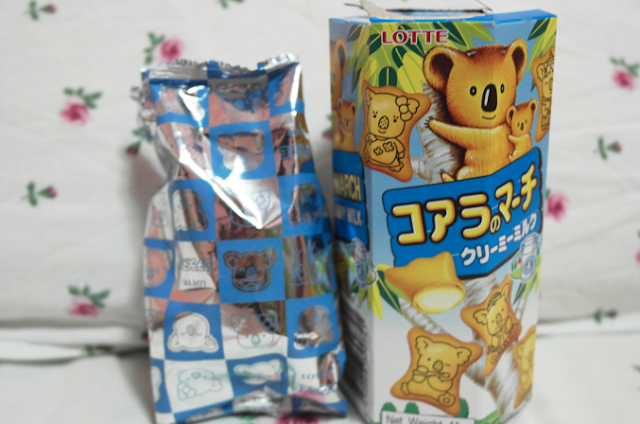 So it's said that if you shake the Koala's March for a whole 30 minutes, your biscuits will turn into a BALL, inside the package. SO IS THIS A MYTH ? And did I succeed ? You guys should try it out too! !